My imac was showing signs of trouble so I took it in to Gage at Computers Plus. […] The initial problems it was having have not reappeared. […] I really appreciate the honest work and good service! Computers Plus Repair is the #1 choice in the Lexington and surrounding areas for fast, quality Apple/Mac repairs and support for most of Apple’s various devices and software. We provide complete data recovery services for all storage media including hard drives, RAID’s, removable media, and external USB / FireWire drives. We take the time to properly isolate the root cause of system slowness, kernel panics, slow boot times, etc. We can often repair broken MacBook displays faster and cheaper than Apple’s one-price-fits all repair strategy. We can help make your Apple device look and feel like new, even after damage from drops, bumps or other accidents. 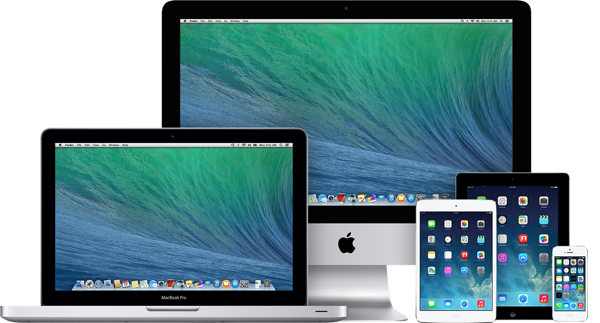 Repair and support service for most Apple products from Retina Macs to G5 iMacs. Computers Plus Repair will come to you! We’ll come right to your home or office to work on your Apple equipment, whether you have one computer or 100. We also work on mixed Mac/Windows networks. Basic to advanced instruction for all Mac Operating Systems, applications, Internet use, data back-up and file management. Learn how to run Windows or Linux on a Mac. Computers Plus Repair is also your best resource for resolving Windows’ problems. We specialize in fast and reliable repair of Windows laptops and computers. We can troubleshoot your Windows Operating System (OS), migrate your data, perform cleanups, as well as recommend and install upgrades.